1. Groupon- Once you have decided where it is you are going to be heading off to on you vacation, look into Groupon. Change your city search to your destination and see what is available. There are hundreds of cities listed so chances are you will find the one you are looking for. Remember to read the find print such as how many must be in the party, expiration date, and lunch versus dinner. This will also help you find different restaurant options and tour events. 2. Entertainment Book- These books are normally sold as a fundraiser in schools but you can also purchase them off the website. What these books are is an overload of deals to local restaurants (they are sold by city), movie theaters, entertainment centers, bowling, among other things. They either offer a great discount or have some kind of BOGO. Either way this is a great way to save on outings and to get you to try new places as well. 3. City Website- Take a look and see what is happening in the community the days that you will be in town. Most city events are free or have a minimal charge and are family friendly. 4. Flexible dates- If you are in the early stages of planning your vacation and you are able to go at any time, take a look at the airlines flexible dates calendar. I have been able to save a pretty penny simply by changing my day of departure/arrival and my flight time as well. 5. Hotel: Lux versus Economy- Some people like to splurge on hotels as part of the vacation experience. Others could care less. For me it must meet these requirements: safe, clean (especially the bathroom), and remotely close to where I want to be. Otherwise you can end up spending more money on transportation to get to your actual destination. Take for example our trips to New York. We have stayed at The Roosevelt and at a place in Soho. While we loved our experience of being right in the center of the city and enjoyed the hotels ritzy bar, we also loved staying at a modern hotel in Soho with all the eclectic places around it. Yes we had to commute more but since we mostly did the subway, we didn't actually feel it. We ended up planning all our evening events in Soho so as to take the subway as close to our hotel as possible and then walk the few blocks over while there was still light out. So again, it comes down to preference. But if saving is the end goal, then look into staying at a place that will provide for your needs but will not break the bank. Chances are you will only be there to shower and sleep and no one really needs much for that. 6. Public Transportation- If you are fortunate enough to be traveling to a city where public transportation is the norm, I suggest that you take full advantage of that. Save on a rental and parking fees because odds are there will be plenty of those if you are traveling to a place that relies primarily on public transportation. Subway, Lyft, Uber, buses, and taxis. Use them all. Look into downloading an app for the cities public systems. That way you know the schedule ahead of time. 7. Shopping: Don't Do It- Ever shopped so much while on vacation that you had to shove everything in your bag just so it would close? Then you prayed to all the vacation gods that your luggage wouldn't be over the 50 lb limit? While the thrill of being on vacation will make you want to be spending money left and right buying all these keepsakes, you probably will not get any use out of them. You might even end up throwing them away. Instead, opt for one (yes one!) item that you will use primarily in your home many times. That way when you pull out that lovely item you will be reminded of the time you spent away. I hope this gets you geared up to planning your next getaway! I know I can't wait to get on that airplane! Oh no doubt! It is just so easy. Not a care in the world. Then you come home and the bills pour in. I always check the city websites!! Never know when a festival might be in town!! Haven't thought about entertainment booklets before though, will have to check that out! So many smart ideas here! I have some major international travel planned in the next year so I'll definitely be taking these to heart. Thanks for sharing! Awesome tips! 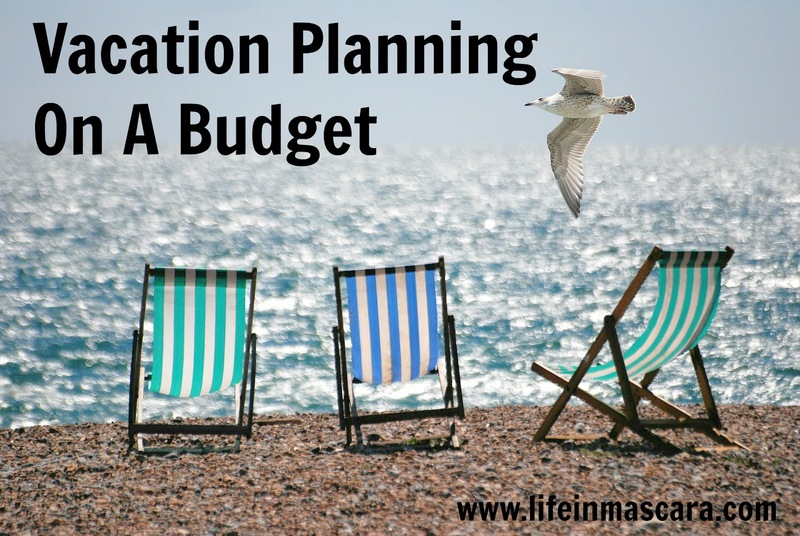 I need this as we have several vacations this year ^ ^ Planning is important to avoid overspending. Thanks for sharing! Love all your tips! With summer almost here, these are great ideas!